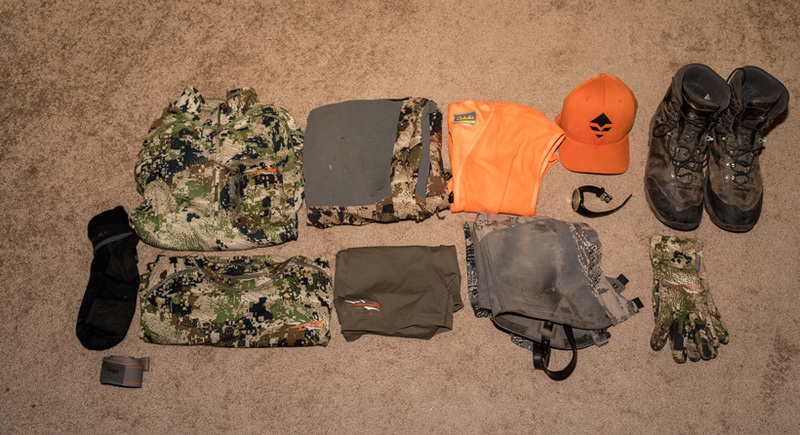 What follows is my late-season gear list for a backpack style hunt for mule deer. This is the exact setup I ran on my recent Colorado 2nd season hunt. Temperatures for this hunt ranged from roughly 10° to 45° degrees. I didn't get any fresh snow on this hunt, but I experienced lots of windy conditions. 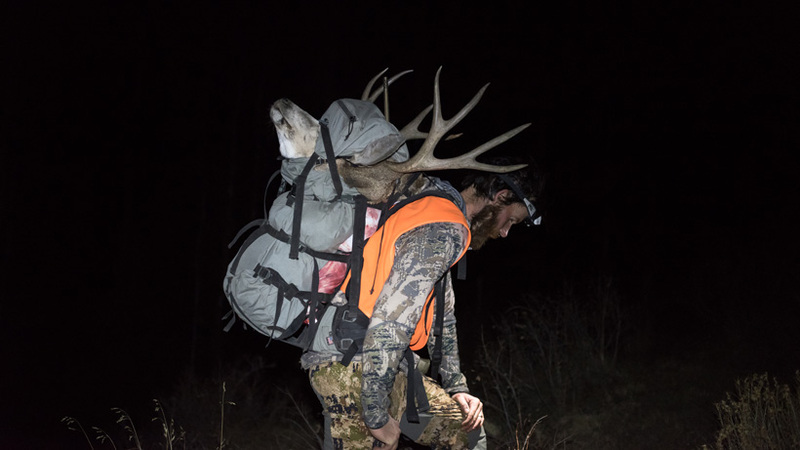 The entire hunt was planned for nine days, but we first packed for five days to see where the deer numbers were highest at. If we found deer right away and needed to go past five days, we have four more days of food stashed back in our truck. Due to the conditions, we didn't want to carry nine days of food into the backcountry right away. 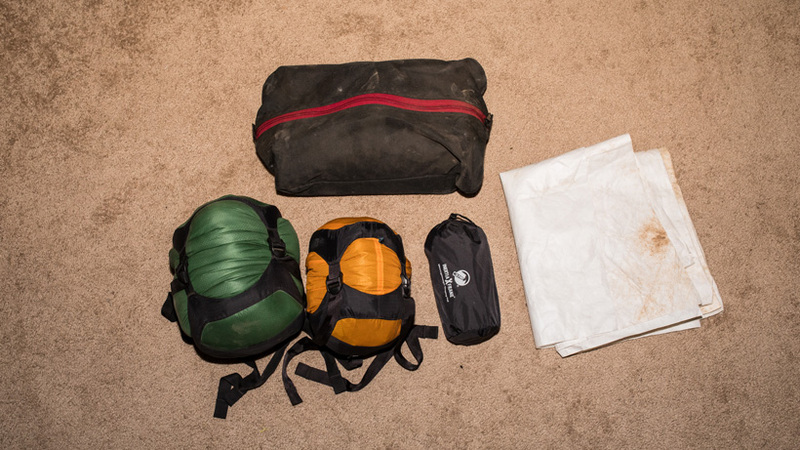 My full late-season backpack weight (minus rifle) is 41.91 pounds. My clothes that I wore hiking in for this trip actually varied a little bit. I started off by wearing a Sitka Core Lightweight Crew LS and on top of that, I added a Core Midweight Zip-T. The winds we experienced on the hike in were ripping through the valley, so the additional layer was great to have until we started the steep climb in the protection of the trees. Once in the trees, I removed the Core Midweight and went back to just one layer. I'm a huge fan of boot gaiters no matter what time of year it is. Because there was already a bunch of snow on the ground, I decided to take the taller Sitka Stormfront Gaiter. 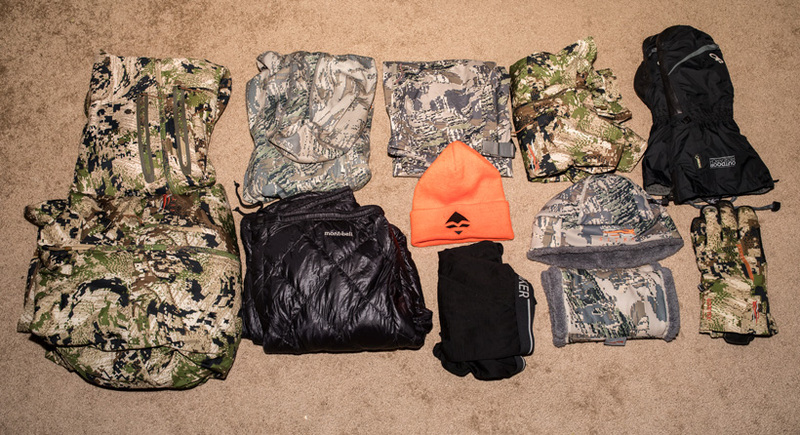 For late-season hunts, this is the section of gear that I go a little heavier on due to the cold temperatures. When it comes to socks, underwear and base layers, I will still not take any real extras. If the weather outlook is looking pretty nasty, then I might throw in an extra pair of socks at the last minute. My packed clothes round out my layering system. The extra clothes I take during the late-season are aimed at keeping me warm and comfortable. The biggest game changers for me are my double insulated mittens, upper and lower insulation layers and the super warm neck gaiter. The Stone Glacier Sky Archer 6200 was once again my choice for a backpack for the mountains this year. This pack has handled everything I've thrown at it this year, and packing out meat was a breeze. I also take a pack rain cover (just in case I get some weather). The rain cover keeps my gear dry during any potential storm. My optic section is an area I changed for this hunt. 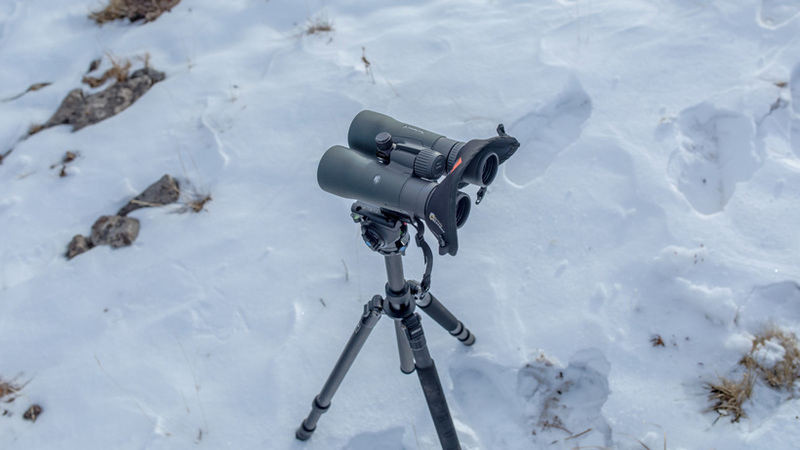 In a recent article, Why carrying multiple optics are essential for locating more deer, I went through the pros and cons of carrying three optics and also touched on what I wanted to change with my setup. In the past, I have always carried 10s, 15s and an 85mm spotting scope on backcountry hunts. My philosophy is you can't kill what you can't see. So I don't mind carrying the extra weight in this area. But, I will say that three pairs of optics are heavy. So from now on my backcountry hunts, I'm switching to just carrying 12x50 Vortex Razor HD and an 85mm Zeiss Diascope spotting scope. The 12s are great for hand holding and are game changers for glassing off a tripod. 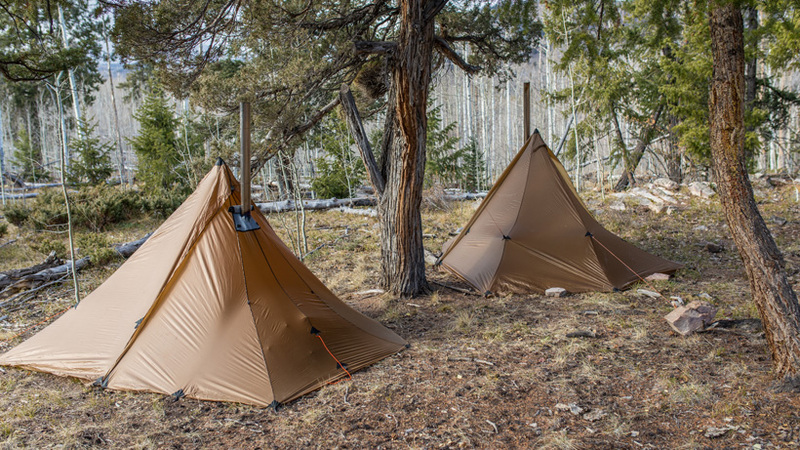 A new system that I was excited to try this late season was a tipi and stove setup. 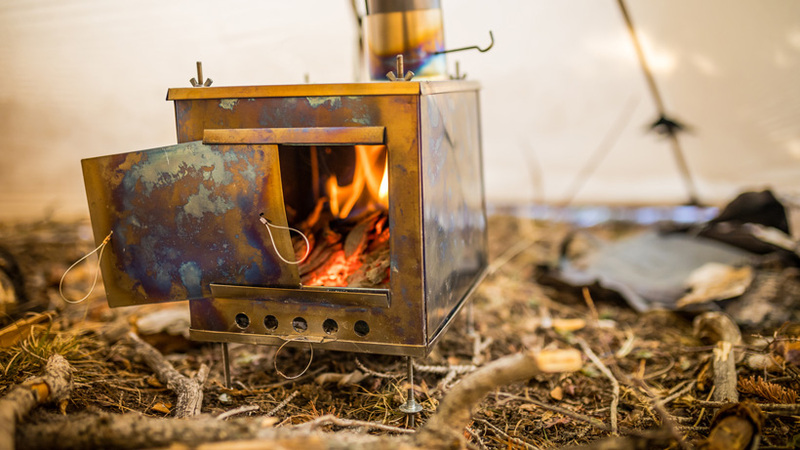 The added weight is practically minimal, and when you consider all the warm and safety from a wood burning stove, it was a no-brainer for me to start running. I don't know why it took me so long to try this setup. I ran the Seek Outside Little Bug Out with a medium titanium stove in Colorado. For a sleeping bag, I ran the 30° Feathered Friends Kestrel Nano and switched to the full body length Klymit Inertia X Frame. Comfortably, I feel a 30° sleeping bag can still work in the low 20° to 30° range. If needed I will always add other layers to my body when sleeping. 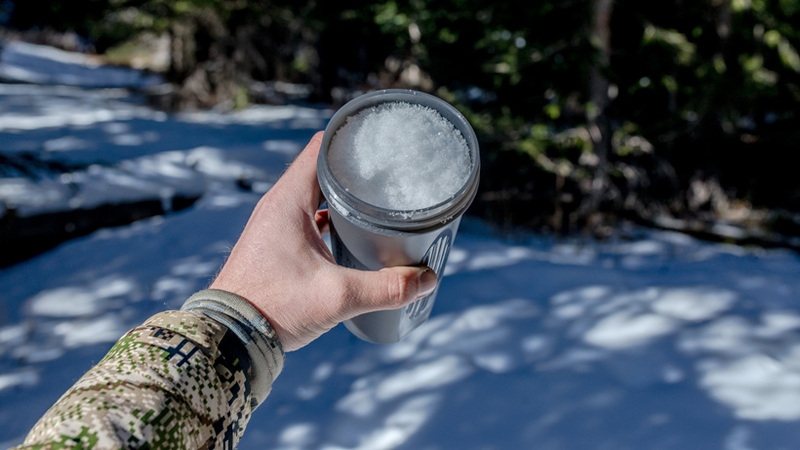 For this hunt, I switched to a 2L Platypus Big Zip for the ease of filling up the bladder with snow if needed. My cook kit for the stoveless method is very simple because my food list is mainly bars, nuts, and a protein shake. So essentially my only cook kit item is a Blender Bottle. 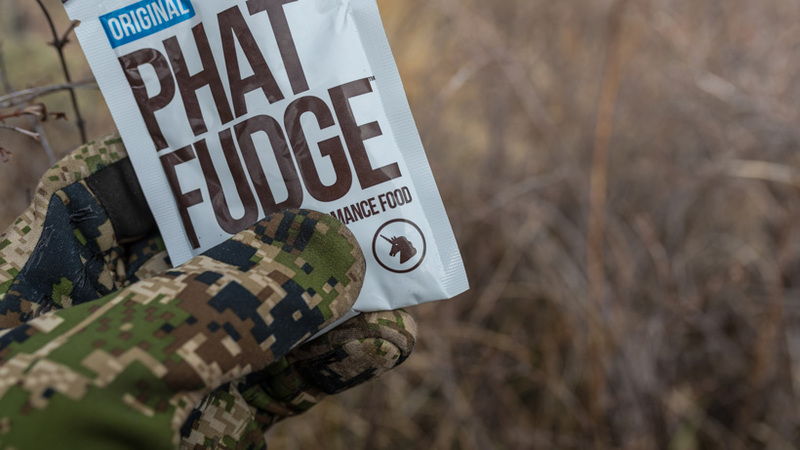 My food for this late season hunt was the same as my early season setup. I once again went with my stoveless method. You can read more about this backcountry food method here. I will admit that I might have been a little jealous of Seth's Mountain House in the evening, but even though the temperatures were below 20 degrees, this food method still worked wonders for me. My gear section are just some essentials I like to carry. 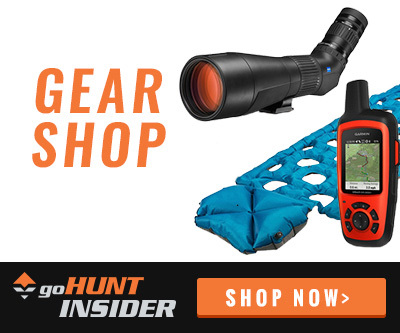 This section encompasses my water purification, kill kit, GPS, satellite messenger, cell phone, glassing pad and a few archery backups. For this hunt, I used my Browning X-Bolt Hell's Canyon Speed in .300 Win Mag. This is the same gun I used last year and I'm so comfortable shooting this setup. I did switch up my ammunition for 2017 to Hornady Precision Hunter 200 grain ELD-X. Another new addition was a Rugged Ridge 7-10" bipod and rear shooting rest. 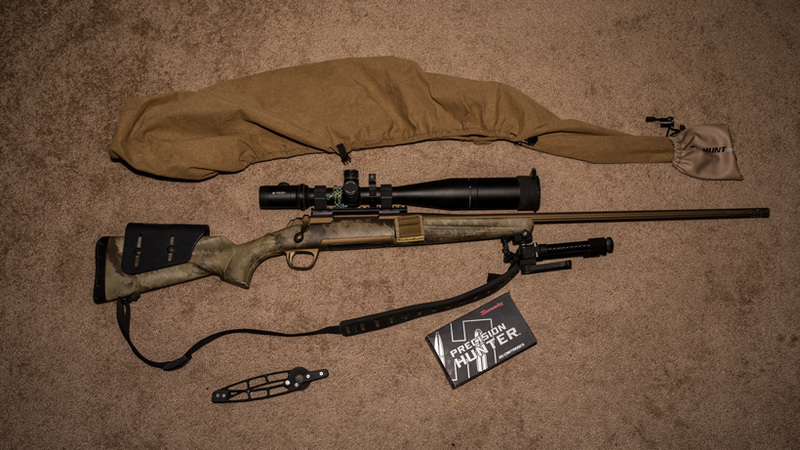 I covered my rifle with the new goHUNT GunSlicker. I always protect my weapon the entire duration of the hunt. This GunSlicker protects the entire rifle from snow and rain. Overall this setup worked extremely well. I was able to take a great buck and made a ton of memories hunting with Seth. As always, my setup is an evolving gear list. There are a few areas I'd possibly change/add. Insulation - I might switch out my Sitka Kelvin Lite Hoody for a Kelvin Down Hoody. I was comfortable in all of my layers while glassing all day, but I did get a little cold on some of the mornings due to the high winds. The weight difference is almost 10 ounces... but it would be a welcomed weight addition knowing my upper body could sit all day a little more comfortably. Boots - I typically do not run insulated boots on late-season backpack hunts. My feet get pretty warm hiking around. In the past, I've added some down booties to my pack (didn't bring them on this trip), but in the future, I might look at an insulated boot if temperatures are going to be less than 20°F. My toes were still cold/numb a few days after I got out of the mountains. Pack saw - Due to using a tipi and wood stove, next time I'm going to add a small pack saw to aid in cutting firewood for the titanium stove. Seth brought one saw that we shared, but it would be great to have two so we could cut wood faster. Brady, I know you're big into photography. 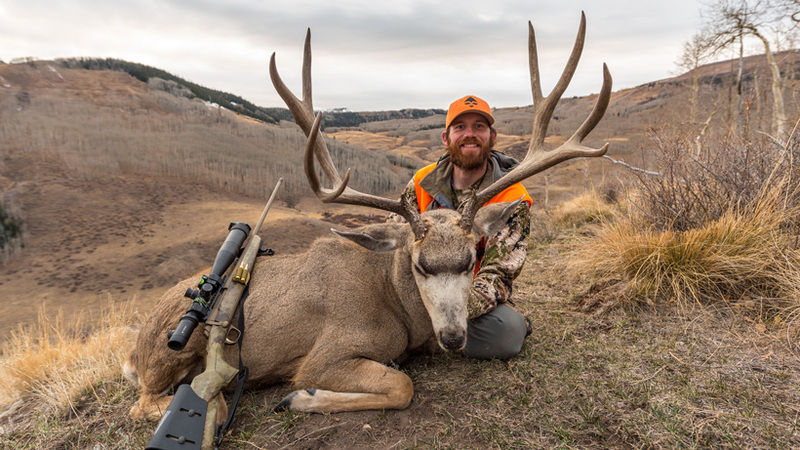 What did your camera setup look like for this hunt and what was the overall weight of the photography gear you bring in. Thanks for all you guys do. You're very welcome! That is a great tipi you got too. I just sent you a DM on Instagram with the photos of the process. Thanks for the reply. I think I'm following what you are saying but if you don't mind sending a couple pictures I would really appreciate it! I have a SO Cimarron on the way from you all and want to keep that setup as light as possible. It's actually pretty easy. You'll have your two trekking poles laid side by side. Next, remove the bottom section of one of your trekking poles (the section that makes contact with the ground). You can put this bottom piece off to the side because it is no longer needed. You'll now have a full trekking pole and a 3/4 trekking pole. Now, take your original trekking pole and place the shortened 3/4 one over the bottom spike of the full trekking pole. They should fit in there pretty nicely. The trekking pole for the tipi will then be double handled in a sense. You'll have a handle make contact on the ground and a handle will make contact at the top of the tipi. Most of the trekking poles can do this. I personally use Black Diamond and they all are able to do this. Let me know if you need anything else. Be glad to shoot you over some photos or video. Brady, How do you link two trekking poles together to make the center pole for the tipi? Electrical tape? Rope? This product is also really nice when you hand load. In setting up my brother's .300 win mag this year, the finished round is too long for the magazine (using 215 Berger Hybrids), so he really utilizes his two-round holder. Awesome write up! Maybe I missed it but whats the attachment on the side of the gun? Looks like its to hold 2 extra rounds. Your comment definitely made me smile, Erik. Yeah, some of the things I do are pretty out there (going lightweight on tons of things and heavy on others). It's a strange reasoning, but for me it makes sense. I carry a heavy weapon and heavy optics because my weapon is everything to me. I have so much confidence in my setup and the extra stability it gives me even while being a little on the heavy side with all my accessories added to it. (I do this same thing while bowhunting with a long axle to axle bow and I'll add weights to it). I also carry heavy optics because I'm a firm believer in long distance glassing and you can't hunt what you can't see. The extra socks thing... yeah, a little extreme, but it always works for me. The stoveless method is a little out there... but it is actually very doable and I love the weight savings that allow me in a sense to get by carrying a heavier weapon and optics. Early summer hunts the stoveless method really shines. This is the great thing about gear lists to me. I love hearing thoughts from others on what they would add or subtract. Hope you had a great Thanksgiving and sorry for the late response. I'm driving back from a family hunting trip right now. I’ll be honest, I’m struggling to make sense of a 10 pound rifle and 10 pounds of optics/tripod, but no extra socks and no stove! Congrats ona great hunt and thanks for the rundown.